(this yarn is brown in real life. not gray.) 100% wool from the local Sleighbell Farm. I have not measure the WPI (wraps per inch) but it is 107grams (3 3/4 ounces) and approximately 240 yards so I think it is probably a light worsted weight. 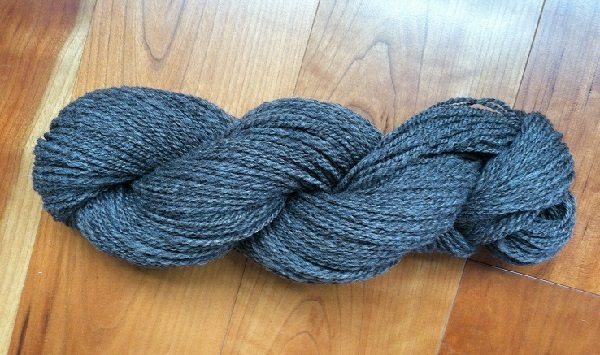 This one is a wool/silk blend by Fiber Optic Yarns that I got at Rhinebeck last year (I think). What they say is true: Practice makes perfect. These are not perfect. Way, way far from it. 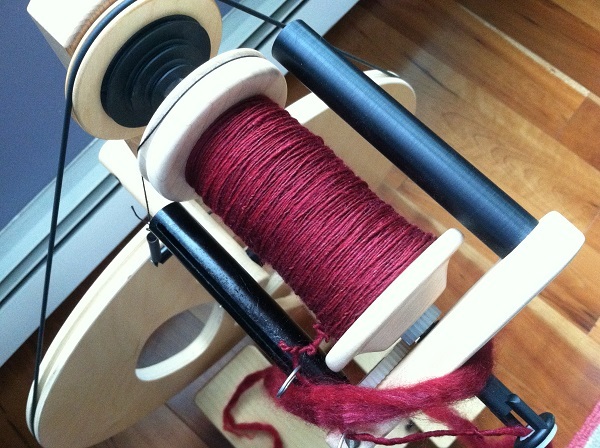 But, my spinning is much better now that I’ve been spinning somewhat more regularly. It is becoming thinner and much more consistent. No big blobs and skinny bits right near each other. These are the yarns that I will be entering in the fair competitions. 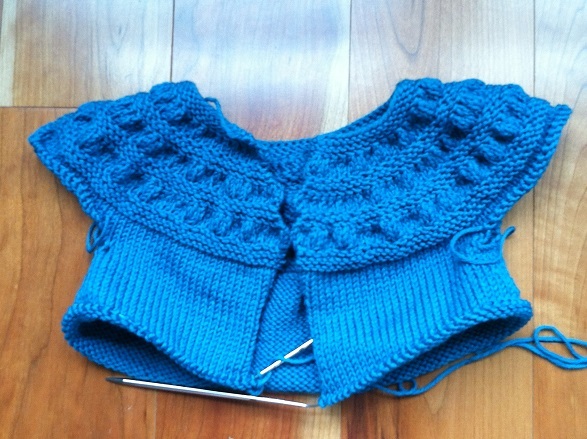 A Tiny Tea Leaves cardigan. 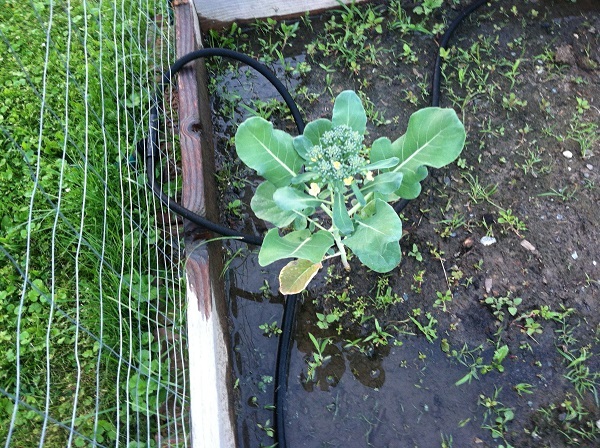 If you can’t see them, there are yellow flowers in there and the head of broccoli is spreading out. 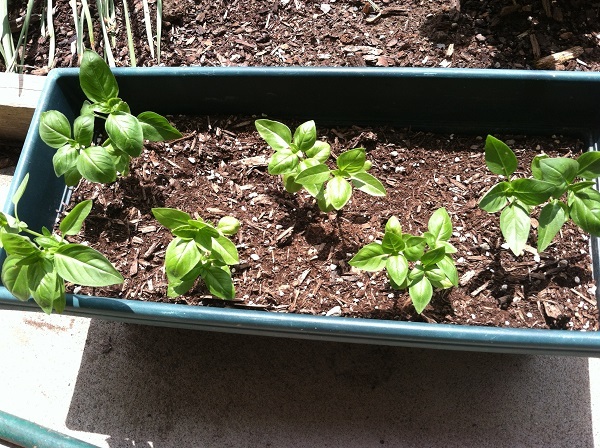 I picked it anyway and on Yvette’s suggestion, left the rest of the plant since it may grow some more little offshoots to pick. I also got some garlic scapes from Yvette to try since I’ve never cooked them before. Thanks for everything Yvette! Bubble mowers are a never-ending source of fun! 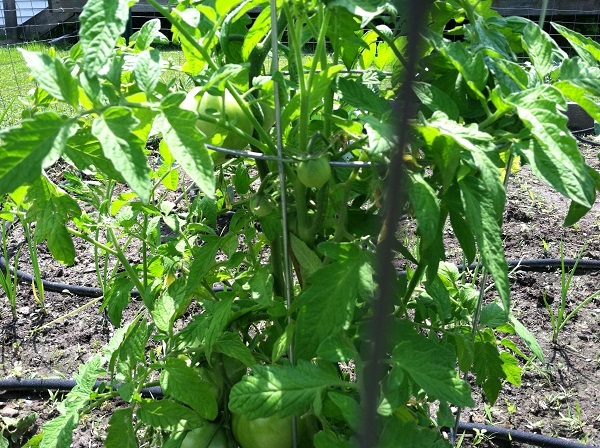 Posted in Uncategorized and tagged bubble mowers, fiber optic yarns, garden, sleighbell farm, spinning on July 5, 2014 by lizytish. Wow! 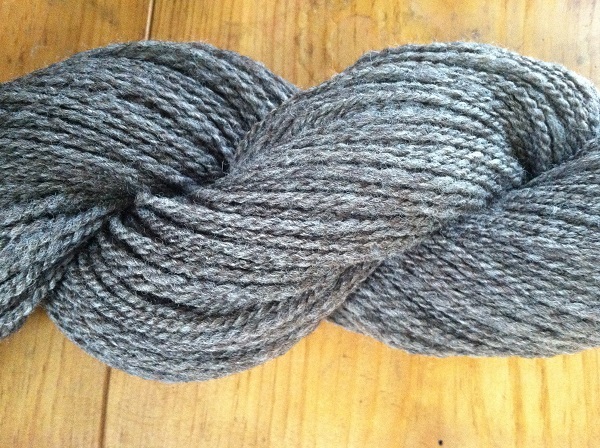 Your hand spun is beautiful – looks great! 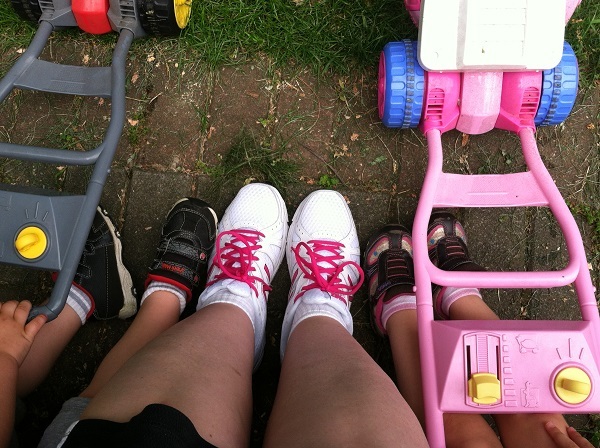 Bubble mowers – how cute – little helpers. Thanks Libby. 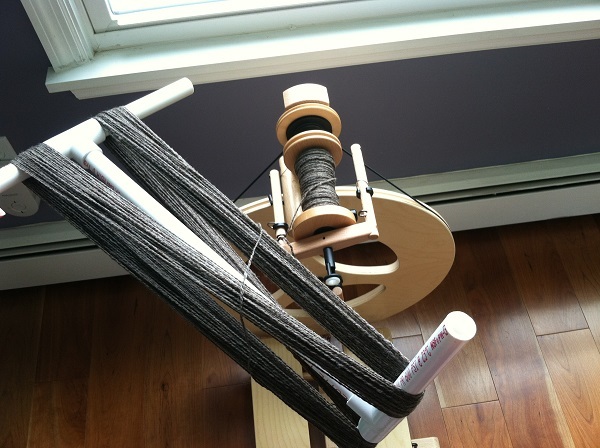 The spinning is coming along. Oh, those bubble mowers. I highly recommend them as a gift for any toddler! Beautiful! Your doing a wonderful job spinning! Looks great! 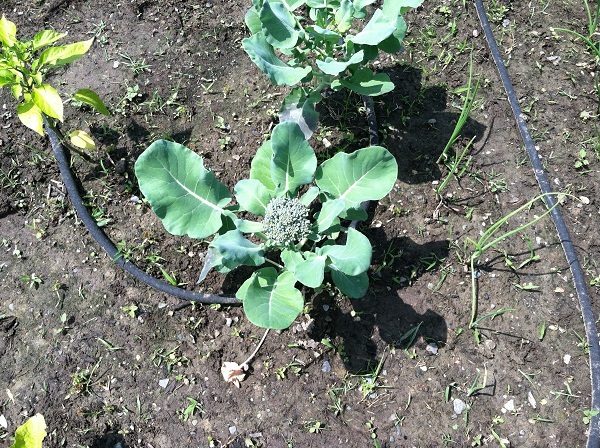 Beautiful garden to! Kids must have had a ball with the bubble mowers, if you need bubbles I have a huge jug of solution.